The Module Builder Pattern is a metaprogramming technique that is used by many popular gems and is explained here in excellent detail. A technique for not only writing better code but also better tests. This is a good ‘from scratch’ intro to some handy techniques. 36 minutes. Rails 5.1 is here! Is your app falling behind? If you're dreading the upgrade, we can help. 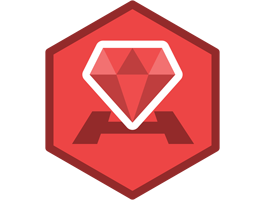 Let our expert team upgrade your Rails app so that you can focus on features, not maintenance. Talk to us to learn how. Rails 5.1 moved away from using jQuery by default, but what does it take to move away to vanilla JS entirely? A 17 minute guide. A step-by-step look at creating a Rails API from scratch using GraphQL, an alternative to REST where clients send specially formatted queries for the data they want. Up to a half a second faster than before, on every bundle exec, Bundler.require, etc. 4 new commands too: info, issue, add, and pristine. WebPacker Lite only provides asset helpers for working with ‘webpacked’ assets. This post explains why React on Rails prefers this approach. Searching for gems is now much faster and more robust. It’s now possible to limit what #find_each returns. Detect attackers before they hit. Stop intrusions and remediate easily with stack traces. yield_self is similar to tap but returns the block return value instead of self. How Casper used the JSON column to track shipments and grow with their analytics needs. If you like programming problems, this is a good one with several example implementations. Helix allows you to build native Ruby extensions using Rust from specs to deployment. Another post on Ruby benchmarking, this time testing Rails without any garbage collection. For anyone who likes list posts for finding new things. Run tests on your infrastructure to check compliance of servers to policy. Apache Arrow is an in-memory, columnar datastore used by many for analytics.